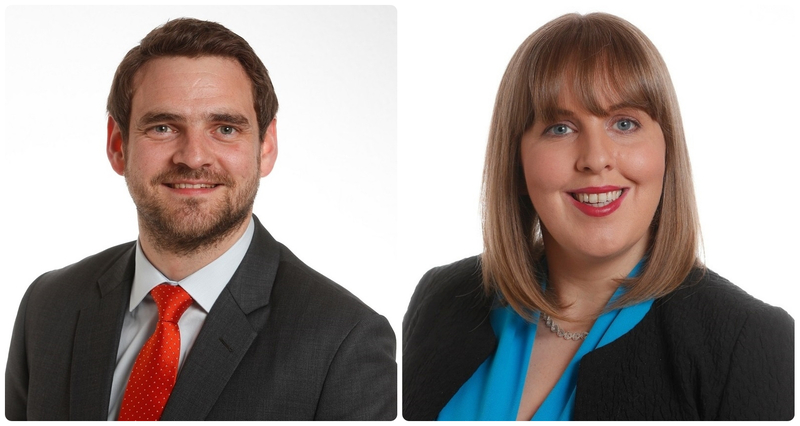 We are delighted to welcome two new associate solicitors to our recently opened Galway office. Cathal Hester joins our Commercial Property team as an Associate Solicitor. Cathal acts for both landlords and tenants in the negotiation of new leases and agreements for lease (pre-lets), the assignment / subletting of existing leases and resolution of disputes which may arise during a tenancy. He has significant experience in sales and acquisitions of various types of commercial property, including retail, office, industrial and development lands. Sharon Pennick joins our Commercial Property team as an Associate Solicitor. Sharon has extensive experience acting in commercial property acquisitions and disposals on behalf of developers and both domestic and international investors including asset management. She also advises on development land and estate planning to include advice on the acquisition, planning and environmental matters, access, the legal structure of the estate, transfer of common areas, taking in charge applications and preparation of the required scheme documents. ‘I am delighted to welcome Cathal and Sharon to our new Galway office, and to our growing Commercial Property team. The appointment of Cathal and Sharon will help us continue to provide a very high quality and responsive service to our client base in Galway and the western and mid-western regions’.